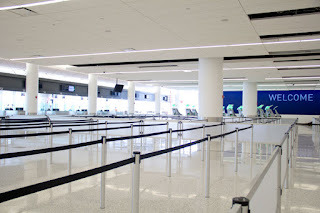 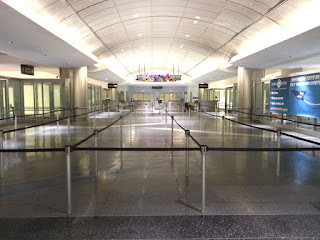 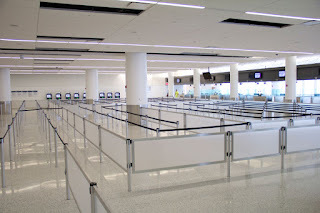 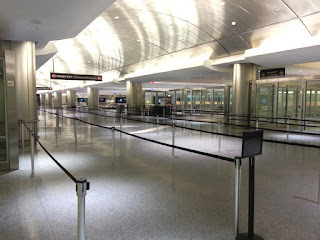 Have you had a chance to see the new stanchion setup JetBlue unveiled at T5i, their new international arrivals facility in JFK Airport, in November 2014. 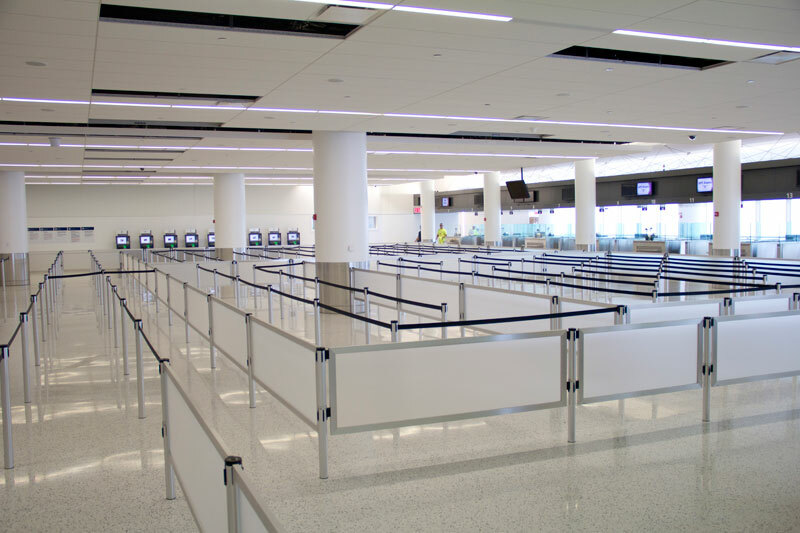 This state of the art $200 million project features a customs and border patrol area designed to process up to 1,400 travelers per hour. 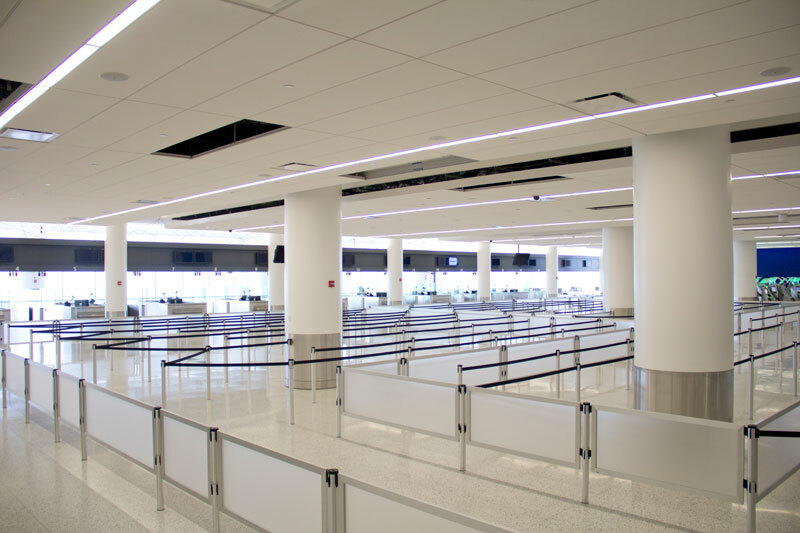 To outfit their queue lines, JetBlue selected our Mini Socket Mounted Retracta-Belt Stanchions, Mini Socket Mounted Post-N-Panel Systems, and Wall Mount Retracta-Belt heads. Our exclusive and unique products provide a functional, attractive, and flexible queuing solution to accommodate arriving passengers. 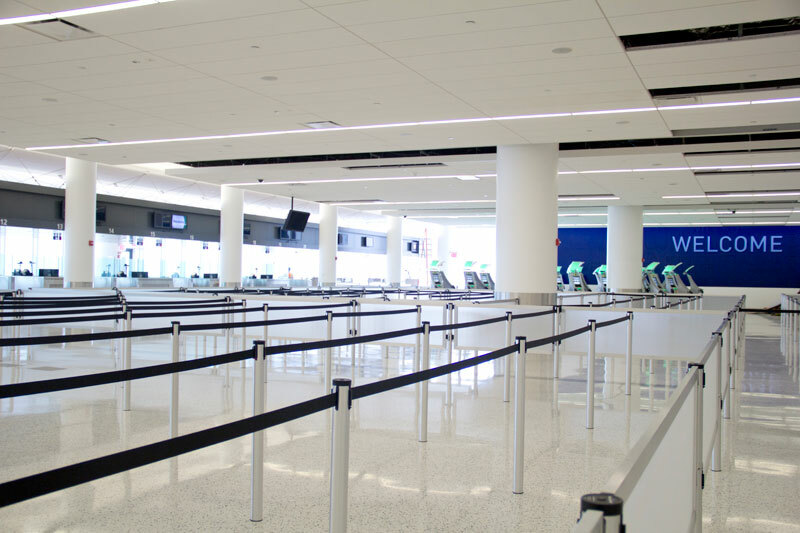 These Mini Socket Mounted Retracta-Belt Stanchions and Post-N-Panels are ideal for airports because they feature a 'no-base' design, which tightens up the queue line space, eliminates the tripping hazard from standard bases, and provides a clean-looking appearance. The permanent socket ensures that queues are set up in the same place and layout each time, and prevents the stanchions from shifting or 'walking' throughout the day. Mini Socket posts remove from their sockets in less than 30 seconds for easy floor maintenance or queue reconfiguration. 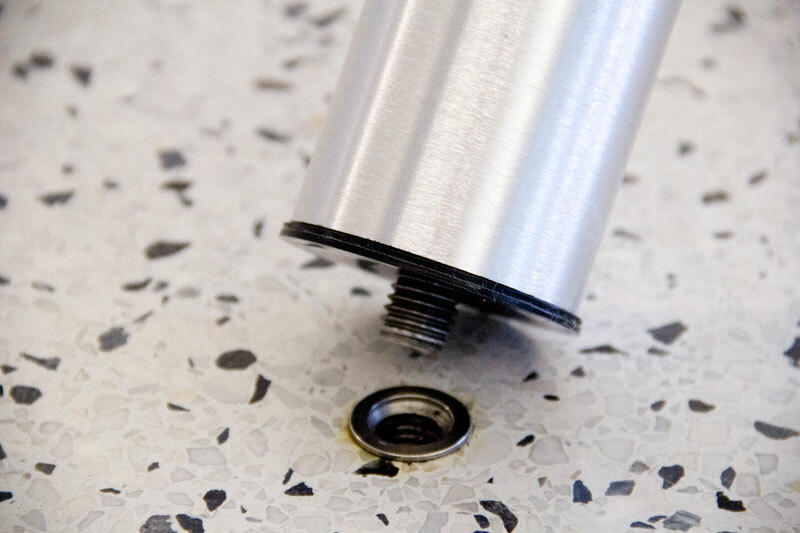 The 3/4" diameter socket installs in less than 10 minutes, saving on installation labor costs compared to traditional removable sockets. 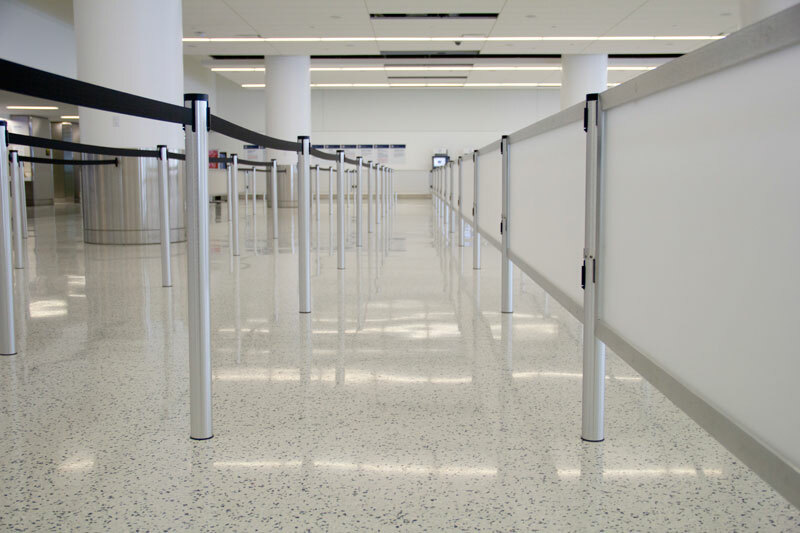 Click here for more information about the Mini Socket Mounted Retracta-Belt Stanchions.